Not easy to summarize the rich history of Rome in a few lines ... however, it is always interesting to be aware of the major events that have marked the history of the city that we are visiting. To us then we dive deeper into the periods that excite us. If the legend attributes the foundation of Rome and Romus Rémulus in 753 BC, there is evidence that Rome was founded by the association of several tribes of the area in the eighth century BC. Romulus Etruscan is the first king of Rome, 6 Etruscan kings will succeed him before Tarquinius Superbus was expelled and that the Republic was established in 509 BC. The city-state of Rome is governed by the Senate, which is in the hands of the patrician families. Rome established his power throughout Italy before moving on to the Mediterranean. She faces Carthage she finally fight in 146 BC, the empire extended across North Africa, Spain and Sicily. Rome has over 500 000 inhabitants, the town expanded and embellished, it occupies seven hills. Julius Caesar himself appointed dictator for life, but the empire is threatened by rebellions and civil wars in 44 BC he was assassinated in the Senate. After a long war of succession, Octavian took power under the name of Augustus became emperor for life. In the second century, the empire at its peak extends throughout Europe to Asia and Africa. Rome then has more than 1 million. Once Rome enters a phase of decline, the barbarians will because of that empire in distress. 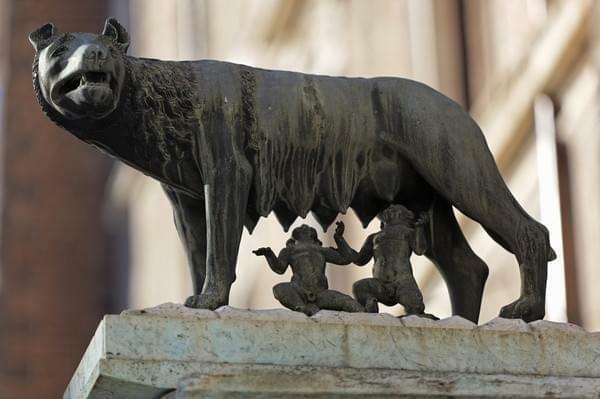 In 476, the Vandals took Rome and deposited the last emperor Romulus Augustus. In the ninth century Rome who suffered widespread looting has only 25,000 inhabitants. Only the presence of the Pope in Rome allows to keep some influence but the city is in constant decline in the Middle Ages and remains the subject of much looting. In 1417, Pope Martin V was elected in Rome and gives its nobility letters by creating a papal state. The city is in great works, monuments bloom and financial support of the Christians used to restore Rome to its former glory. The Popes are great patrons and Rome became one of the major artistic centers of the Renaissance. Rome is one of the first tourist destination in the world, from the XVIII century it attracts English aristocrats and European artists. The Pope's power weakens and after the takeover by Napoleon, Rome becomes a republic. In 1870, Rome joined Italy and became the capital of the kingdom. The city modernizes and becomes both an economic and industrial center of an artistic and cultural city.